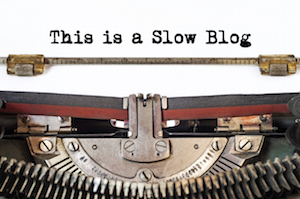 In old Zen stories Enlightenment rarely occurs in the meditation hall, it happens in the strangest of places, with often the simplest things triggering the experience. 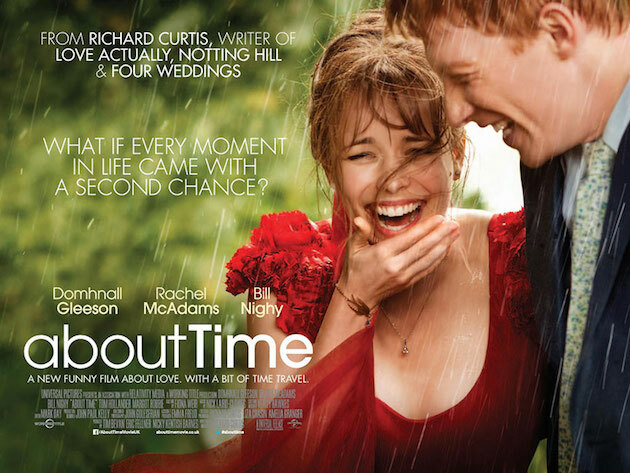 I am not suggesting I attained enlightenment in the Buddhist sense (some days I think I am about as far from enlightened as it is possible to be get), but I certainly had one of the most profound experiences and insights of my life whilst watching About Time by Richard Curtis. I loved Richard Curtis before I even realised I did. I loved Blackadder as a child, and I remember watching The Tall Guy over and over again. I was entranced by The Vicar of Dibley and his take on the idyllic quirks of an English village. And who can forget the success that was Four Weddings and Funeral? But it wasn’t until Notting Hill in 1999 that I realised the connection between all these TV shows and films and I had been a Richard Curtis fan all that time! In fact, I have written about my love of Richard Curtis films and what he has taught me about life and being happy in a blog on my other site here. Richard Curtis’ films tend to be rather unfairly lumped into the “Rom Com” category, but his films are much more intelligent than that, with the molten bronze droplets of philosophical wisdom about how to live a good life: the importance of family and friends, of doing the right thing no matter what, of manners and modesty, keeping your sense of humour, and the fact that love actually is all around. His films explore the trials and tribulations of our “ordinary” lives and reminds us that they are anything but; all our lives are an extraordinary, unique adventure. Much in the same way that James Joyce taught us that every day is our own adventurous odyssey in Ulysses. Let’s just take care of the whole time travel thing up front shall we. For those that haven’t seen the film, the essential plot is that Tim (Domhnall Gleeson) finds out from his father, James (played by the brilliant Bill Nighy), on his 21st birthday that men in his family can travel in their own timeline (they cannot go back past their own birth and cannot go beyond the present moment). Now with any time travel, the whole logic goes pear-shaped very quickly and as the film critic Mark Kermode has said, Richard “sets up his rules of temporal engagement, only to break them willy-nilly whenever the prospect of an extra hug rears its head”. Now, this element has been used by rather sniffy critics to ridicule the whole film. To me this is entirely missing the point. The time travel aspect makes it a fairy tale and like all fairy tales it is an allegory to teach us something, and like all fairy tales, they do not need to be realistic or adhere to logical rules (bears that eat porridge anyone? Or maybe gingerbread houses?!). If you get caught up on the mechanics of the time travel of the story you really don’t get it! To me, the most potent life lessons come towards the end of film, after Tim’s father is diagnosed with cancer. Tim asks him why he cannot go back in time to fix it, to which he replies, “The only people who give up work at 50 are the time travellers with cancer who want to play more table tennis with their sons.” Alluding to the fact that he HAS fixed it by reliving his life from 50, realising what was most important to him and making different choices. To me this is the most poignant lesson of the film, we cannot time travel (as yet) and therefore to discover when it is all too late that we didn’t do what we actually wanted with our lives is a tragic waste. Luckily we all have the capability to travel backwards and forwards in time – in our imagination at least. In fact, we rarely spend any moment in the present, most of our thinking is either recalling memories or throwing forward to some future event. Time travel comes naturally to us. So travel in time now, to your death bed and look back at the life. It reminds me of the film Cocktail (bear with me!) when Tom Cruise is given the assignment by his business studies lecturer to write his own epitaph. Imagine yourself many years from now on your deathbed looking back at your life and how it will most probably turn out if you keep doing what you are doing. Will you be happy with what you did with the time you had? If not do the same exercise but looking back on the life you wanted to live (remember, it is about the small pleasures) and, bringing that back to the present, you will see what changes you need to make, as if you have just travelled in time. “Part one of the two part plan was that I should just get on with ordinary life, living it day by day, like anyone else. Again, we cannot travel in time, so do not have the opportunity to relive days without the stress and worry about the stupid little things that often upset us or make us angry. But what we can do is pretend that we are reliving the day. When stress and worry sneak in, just act as if it has already happened and worked out OK and take the time appreciate as much as you can.